1 2018-03-19T19:18:43+00:00 Liza Potts 2e4024b066fd3068a576ac52a252ea3d0f5ca650 1 1 Learn more about this participatory memory book, exploring the case studies about Princess Diana, Harry Potter, and Doctor Who Torchwood Ianto Jones. plain 2018-03-19T19:18:43+00:00 Liza Potts 2e4024b066fd3068a576ac52a252ea3d0f5ca650 Remembering the People's Princess Princess Diana died in the tunnel near Pont de l'Alma. Here participants are marking this space, giving them a sense of agency. This section discusses government resistance towards participatory memory. In this digital book, readers will find research about participatory memory—examining the ways in which fans celebrate, commemorate, and memorialize their fandom in physical spaces (and often the ways in which content producers and governments react to this participation). This section describes the major sections of this digital book. Kendall Phillips (2004) states that public memory is “a realm within which we act together” (p. 4). In the case studies of this book, this activity is participation—specifically writing and making in these memory spaces. The significance of these case studies is evident in the ways in which participants are using writing to engage in these spaces, noting the moments when they are deterred from participating and when they participate in unexpected ways. This research serves to inform scholars about memory, writing, and experience that begins in these spaces as individual writing grows into a collection and matures into places that are curated by fan scholars. Across this site, you can explore sections investigating different kinds of participatory memory experiences. Each case study provides analysis and discussion about participatory memory, examining how participants work to create experiences for their communities in these spaces. In particular, the research includes discussions about the spaces of memory for Princess Diana, Harry Potter, and Doctor Who spinoff Torchwood. The case studies describe these active spaces of memory, explain the research project, describe findings, and point to the significance of participatory memory. This section focuses on a major space of memory for the late Princess Diana in Paris, France, where she was killed in a car crash in 1997. 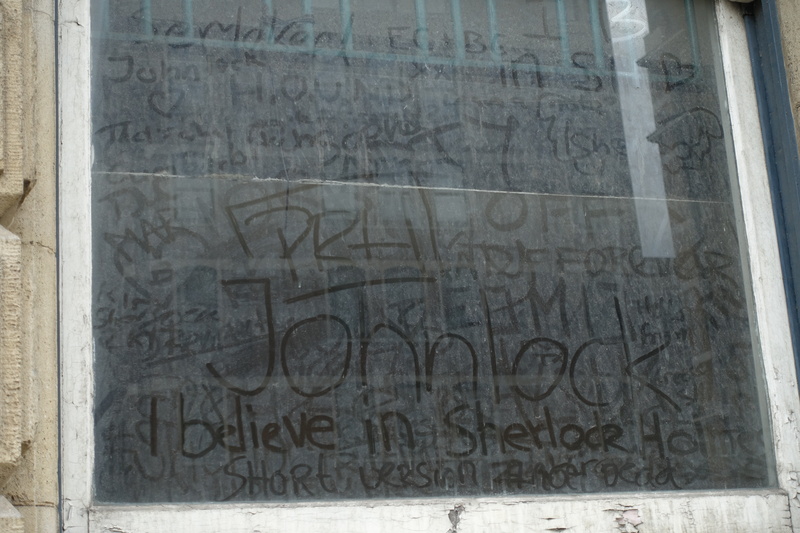 At this location, fans leave behind objects, such as roses and letters, and write on the concrete slabs bordering the tunnel in which she perished. In this space, we saw what Victor J. Seidler (2013) refers to as a “shared public grief around Diana’s death” that “showed people could come together in their own ways, beyond the control of governments and political parties and share a sense of belonging” (p. 115). 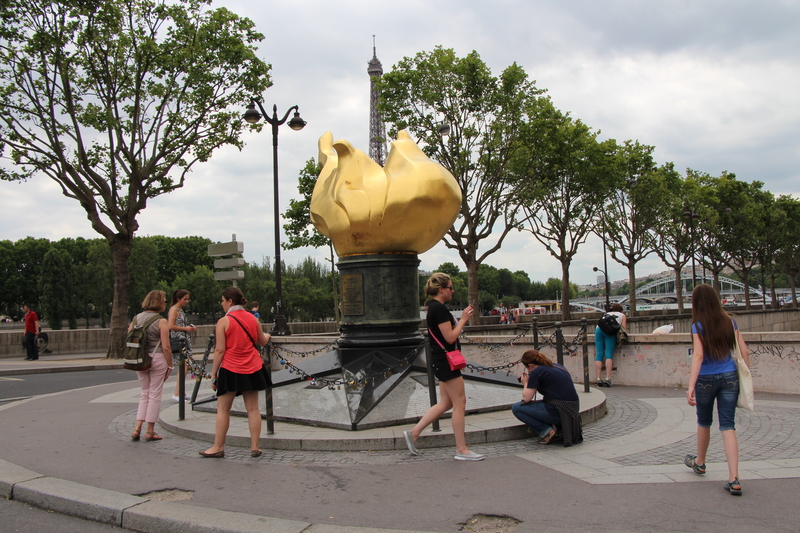 While fans continue to congregate, write, and share memories in this space, the city of Paris seeks to erase this space through “cleanings” and removals. This section will discuss issues of agency and power in this memory space, briefly discussing Michel de Certeau’s (1984) concepts of strategies and tactics. Looking across sites of memory, this section describes and analyzes the architectures of fan-led experiences for Harry Potter in the United Kingdom. Examining these spaces, researchers worked to understand how fan-led and fan-pushed experiences operate—that is, experiences where fans have agency and can explore these spaces on their own (fan-led) rather than experiences where they are pushed along a particular prescribed path for participation (fan-pushed). These issues bring up questions of agency, authority, and impact as fans work to write themselves into their communities in these spaces. This investigation led the authors of this book to question their own assumptions about what is “real” and what is “fiction” for fans experiencing the physical spaces of canon. This section explores these ideas in an attempt to explore how fans move symbolically through alternative histories in physical spaces. Roger C. Aden touches on these ideas in his 1999 work on fan pilgrimages, noting that these are “purposeful, imaginary-yet-real journeys” (p. 79). 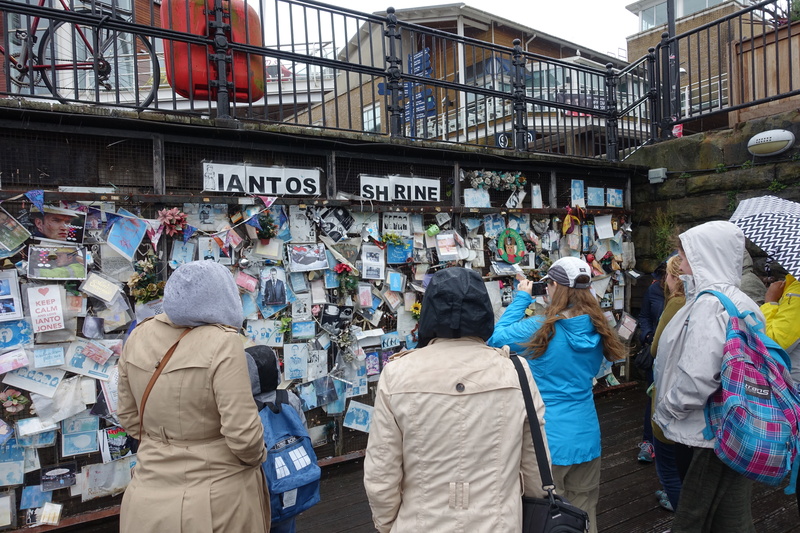 This section describes one of the penultimate spaces for participatory memory: The shrine of a well-loved character from the BBC’s Torchwood, a spinoff of the long-running international television show Doctor Who. 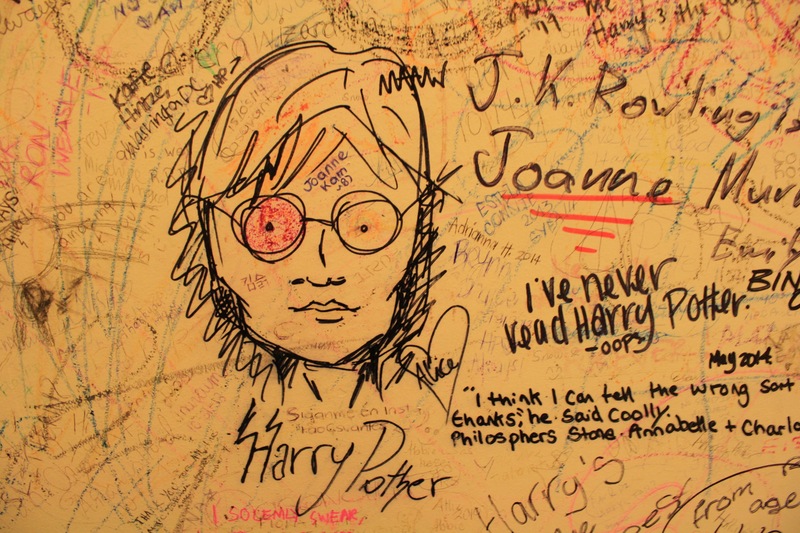 Creating artwork, writings, and objects, fans have left behind a menagerie of materials dedicated to the show. They have also left behind materials that specifically call out issues of LGBTQ+ rights and Welsh nationalism. These materials give a sense of the community of fans who participate and curate this site. In their edited collection Pedagogies of Public Memory, Jane Greer and Laurie Grobman (2016) note that “what is preserved, how it is preserved, who has access to it, information technologies and political reorganization mean that the public memory as it is preserved in archives large and small will remain under continual revision” (p. 19). In the case of this memorial, that archiving and preservation is the job of the scholar fans and fan scholars who work to keep the space active. After exploring these case studies, the final section of this digital book considers ways in which these spaces have evolved over time, how new spaces are being constructed, and what the implications might be for the future of fandom memory sites. Agreeing that “public memory’s potential as a site for teaching writing and rhetorical production has only begun to be explored” (Greer and Grobman, 2016, p. 1), the authors of this book suggest areas for future research and discuss ways in which including undergraduate researchers can enrich the scholarship.